A DEFRA spokesperson told the Guardian the department was aware of the hacked page, which was removed by 8 a.m., but declined to comment any further. The hacked page also contained a link to the MIUM website. The shady group style themselves as an Islamist version of hacktivist collective Anonymous and in the past have been accused of working on behalf of the Islamic State, carrying out cyberattacks on Jewish websites and of trying to tamper with web pages belonging to the United States military. The attack comes as governments and corporations review their cyber warfare defenses and capabilities. 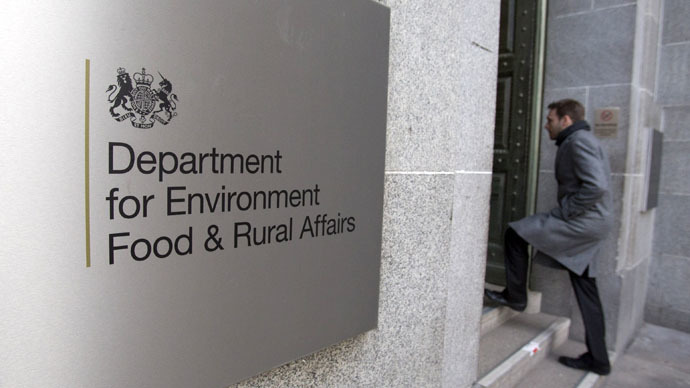 The DEFRA hack is the latest in a recent spate. Last month British Airways (BA) locked down thousands of frequent flyer accounts after a mass cyberattack from an unknown source. BA quickly announced it had frozen the accounts after becoming aware its systems had been hacked on a mass scale. The source of the BA hack was unknown, but it is believed to have been carried out using a program that infiltrated computer system in search of vulnerabilities, before penetrating online security. In January, the website of the troubled Malaysia Airlines sustained an attack by the Lizard Squad – a group also allegedly aligning itself with Islamic State. The message “Hacked by Cyber Caliphate” appeared on the homepage underneath a picture of a well-dressed lizard in a top hat. The entire screen of the homepage was black, save for the photo of the lizard, which is also the symbol of a group that hacked the Sony PlayStation and X-Box networks in December.